The Future of Advanced Composite Materials | Mar-Bal, Inc. The composites world, to me, seems like an untouched domain with an extreme abundance of applications and possibilities just waiting to be explored. Market forecasting data has showcased a few industries that will have sizeable increases in the use of composite materials. These industries will be transitioning from traditional materials like steel or iron in their products to more advanced composite materials for several reasons that I will discuss later. Composite materials are not new to the market segments I will be examining, but they will see large increases in the amount of composite materials used as well as new applications creating possibilities that were once impossible. As a whole, the advanced composites market is expected to increase at a healthy rate. The value of the advanced composite market was at $16.3 billion in 2014 with projected growth at a CAGR of 7.2% leading up to 2020, in which North America held the largest share by volume of the market in 2014. A growth in the North America region will be largely attributed to the growing list of applications in the defense sector as well as the Aerospace industry, which will be my focus throughout this post. 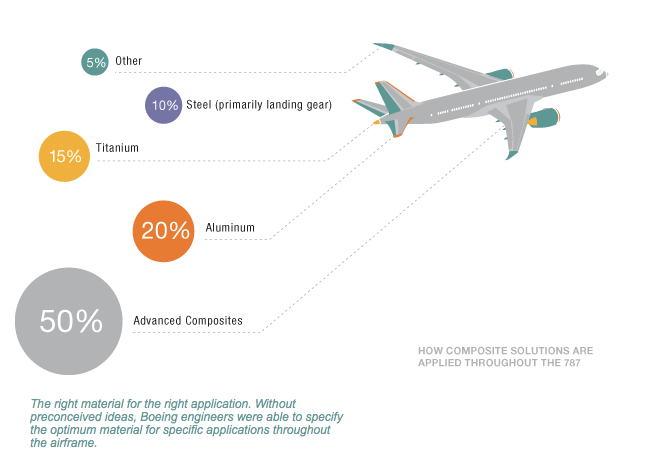 Over the next decade, the aerospace market for composite materials is anticipated to grow at elevated rates in comparison to years past. Next generation aircraft, like the Boeing 787, are exhibiting these new applications that were once untouched by the composites industry. The Boeing 787 shaves off nearly 20 percent of the aircraft’s frame weight in comparison to the typical aluminum frame by using these advanced materials. With the weight savings, further travel is possible due to the fuel consumption reductions that this new composite driven airplane uses. 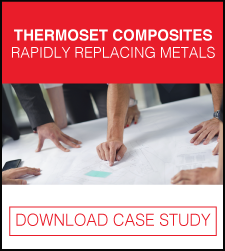 The usage of composite materials not only reduces fuel consumption and resists corrosion, but lightning protection is now a possibility due to a composite coating that a group of reasearchers is working on. Haydale Composite Solutions, combined with Cobham plc and SHD Composites Ltd., are taking on this 18-month research project looking into the creation of a composite material that will be able to safely control a lightning strike, Read More. The defense sector will also see this increase in uses and applications of advanced composite materials. Though many of these will come in the form of aircraft and aircraft components for light weighting and strength as explained above, there are other new applications to assist the defense sector. From new, advanced personal protective vests that stop bullets to a new line of armor for vehicles for both personal security and military applications. For example, Morgan Advanced Materials (MAM) uses these composites to make lightweight armor products including helmets, ballistic protection jackets, and vests. According to MAM, their armor is 50 percent lighter than the comparable steel armor, while allowing for included threat protection like mine blasts, burning fluids, and fragmentation. The future of the advanced composite materials is extremely bright. Aerospace and defense are just two of the many market segments that will see a large increase in the use of these materials. As time progresses, these lighter weight, incredibly strong materials will dominate the materials used in almost any given industry. With increased demand for these specialty materials, prices will be forced down, and the technology to make these advanced materials will become more readily available. Mar-Bal, Inc., headquartered in Chagrin Falls, OH, is a compounder and molder of Thermoset composite products. 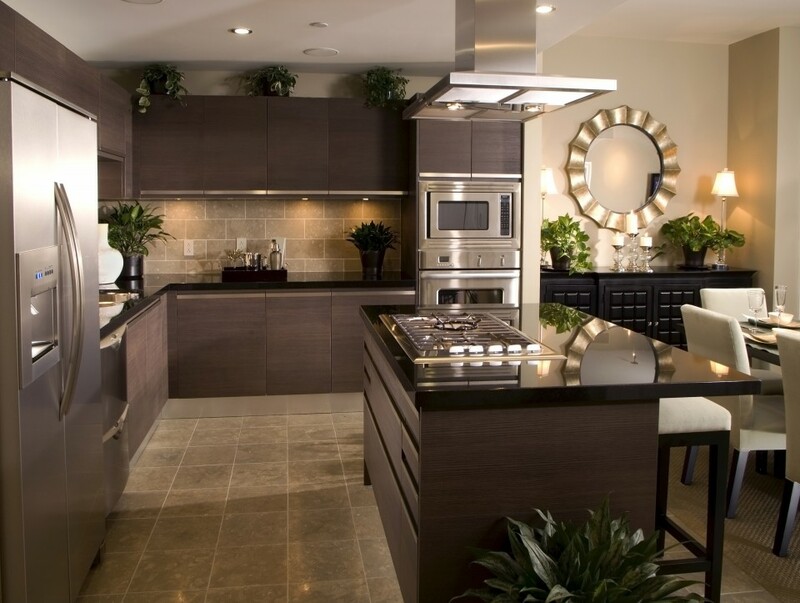 Since 1970, Mar-Bal has engineered and manufactured quality, customized materials and parts while delivering unmatched client cost-effectiveness through superior customer service and commitment to the total value. Mar-Bal serves the appliance, electrical and industrial marketplaces from their four facilities in North America and Asia Sales Office located in Shanghai, China. Mar-Bal, an ISO 9001:2008 Registered Company, continues to develop innovative products and has a portfolio of brands and proprietary products. www.mar-bal.com. This entry was posted in Blog, CTAenabled-metals, Uncategorized and tagged composites, engineering, manufacturing, R&D, research on October 12, 2015 by Ron Poff.